We just got home from nine days in Portland, Oregon with my husband's family. As always, the trip was a lot of fun but completely exhausting. I feel like I need another week off just to recover. Unfortunately I'm back at work today, but I did have the weekend to catch-up around the house and make a few vegetables dishes. I always try to keeping eating vegetables while travelling, but it's never the same as being at home, and I always feel like I have some catching up to do when I get back. 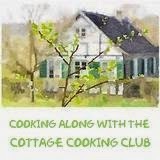 I made fifteen recipes in the past month-or-so, including a few that I bought ingredients for but didn't get around to last month. These were good, but not my favorite set of recipes. I don't know if the recipes are to blame or just the cold weather vegetables. It's definitely more of a challenge this time of year. Here they are, in order of most to least favorite. What a great surprise! Even Paul loved this. 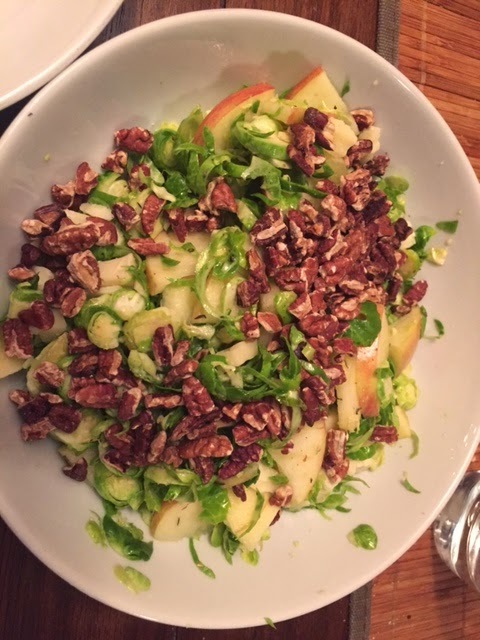 I used the slicing disk on my food processor to make quick work of the sprouts, and the rest of this dish came together in no time. I'm always looking for raw vegetable salads for the winter months, and this is definitely one that I'll be repeating. 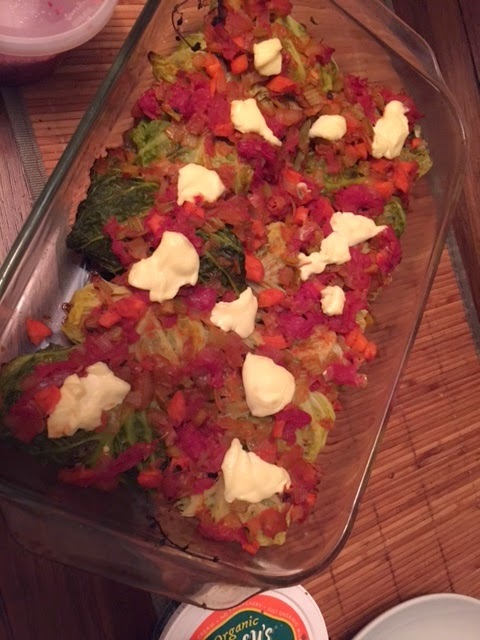 Due to some poor planning on my part, I made stuffed collards with orzo and ground turkey one night, and these stuffed cabbage leaves the next night. I thought for sure we would all prefer the ones made with turkey, but we actually preferred these. This sounded like a strange combination but it really worked. The flavors came together beautifully. One of my all-time favorite recipes is fresh corn fritters. I make them in summer, topped with goat cheese and sliced heirloom tomato. These weren't as good, but for winter they were a very nice change-of-pace. I really liked the Indian flavors. Paul liked this soup better than the corn fritters, but it's my blog so we're using my ranking. I wished this soup wasn't quite so thin--next time I will cut down on the broth--but I liked the warming spices. I made this the same night as the corn fritters and thought they went quite well together. I used the raita I made for the fritters to top the soup as well. 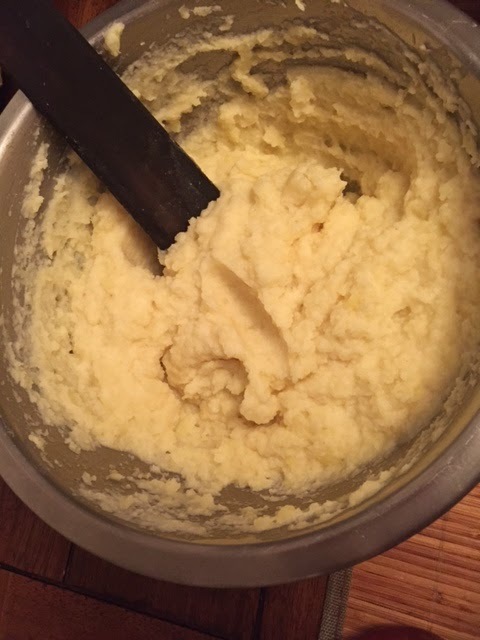 Potatoes, butter, and cream. What's not to like? I though the celery root was a great addition. It made this more interesting than standard mashed potatoes, and allowed me to tell myself that it was a little bit healthier. I followed the recipe's instructions to crumble the chestnuts, but wish I had sliced them, it definitely would have made for a prettier presentation. 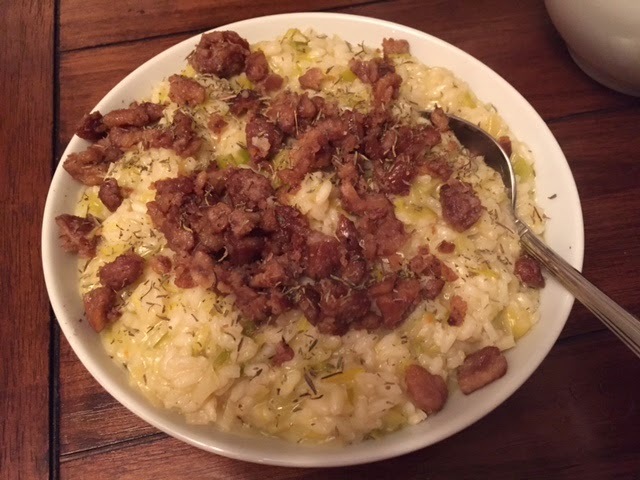 We enjoyed this risotto--I don't know if I've ever had a risotto that I didn't like--but chestnuts just aren't my favorite. 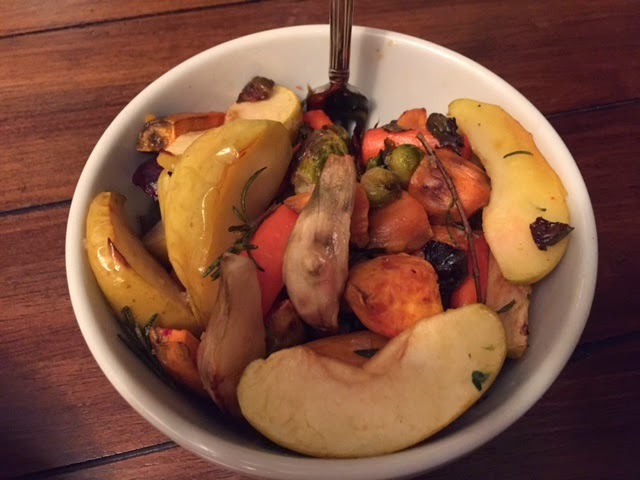 I roast vegetables all of the time, especially in winter, and I thought the apples and rosemary were a very nice addition. The only problem was that I kept avoiding the vegetables in my search for more apples. Paul and I thought this was fine, but Charlotte loved it. Go figure. I like the flavor of chestnuts a lot more than the texture, so if I'm going to eat chestnuts this probably is the way for me to go. This is one of those simple recipes that really depends on the quality of the ingredients. We had this on home baked sourdough bread, and really enjoyed it. My only complaint was that my kale was too chewy. Next time I will cook the kale until it's very soft. I'll be very curious to see how many people found salsify. I couldn't find any, thought about substituting a common root vegetable (like carrot, parsnip, or rutabaga), but changed my mind when I spotted a burdock root (several feet long!) at the store. I decided to give it a try. I have no clue whether it tasted anything like salsify, but I was pleasantly surprised. The puree had a very nice flavor. We didn't love eating it on its own, but I think it would be very good on some bread. 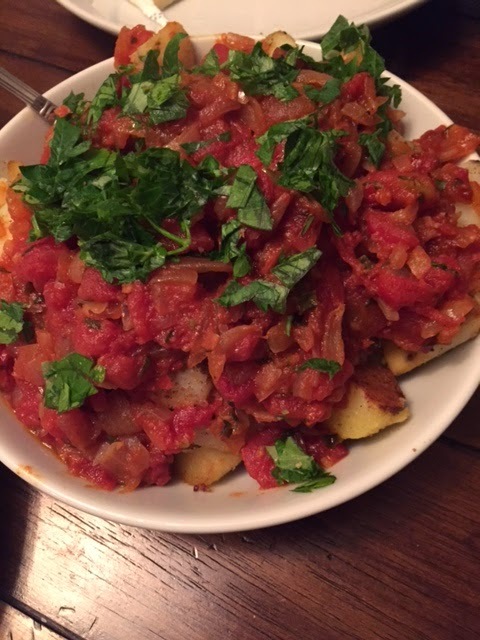 I loved the patatas bravas that we had in Barcelona, and have since enjoyed them at tapas restaurants in the US, but have never made them at home. I was excited to try, but somewhat disappointed by these. I think mine were under-salted (all my fault), but also thought the flavors in general were a bit flat. I love the idea of using a whole grain (spelt) instead of rice, but have to admit that I would have enjoyed this better with rice. It wasn't bad, but not my favorite either. Baking beets continues to baffle me. Sometimes they're ready in an hour, sometimes they take more than two, and it doesn't seem to be very related to their size. For this recipe I bought small beets, but they still took over two hours to bake. That meant they weren't ready until after dinner, so we didn't eat this salad until the next day. I have a feeling it would have been much better fresh. I think I'll need to give it another try. This wasn't bad, but I've made a lot of spanakopitas and this was nowhere near my favorite. I didn't love the cumin seeds and, as much as I love puff pastry, I do prefer fillo for this type of recipe. This was fine, but I'll choose another recipe in the future. 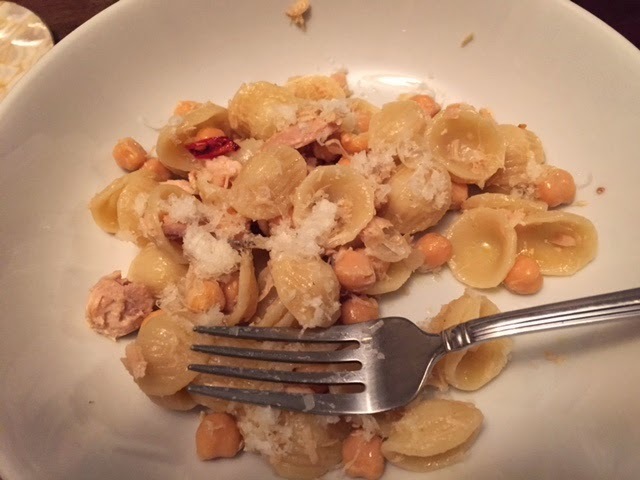 Dear Jora, how can I put this...your blog post just took my breath away - so many wonderful recipes and you were away visiting family, I could not believe my eyes that you actually managed to make ALL these this month! Respect, dear friend, respect! Since I made most of them at some point, I am feeling quite hungry now...All your presentations are wonderful, I enjoyed looking at all your pictures and reading all your helpful comments - and I am a bit surprised that the CCC members seemed to have enjoyed the raw, shaved Brussels sprouts so much! I am making the chestnut soup again for New Years Eve, the Spanakopita was quite well received here, so was the Potato and Celeriac mash, the Roasted Veg are always a winner and I loved the comment about Charlotte picking the pasta off her plate and leaving the chickpeas and tuna! How wonderful that she so happily joins you in this cooking adventure. By the way, I did find the salsify, love its creamy white color and its taste - I had no idea about burdock though - but always love to learn something new. I still cannot believe you made all these!!! Thank you for participating with such great enthusiasm again this month! Wishing you and your family a very Happy and Healthy start to the New Year! You always amaze me with your energy and insights! Wow, what a line up of dishes. 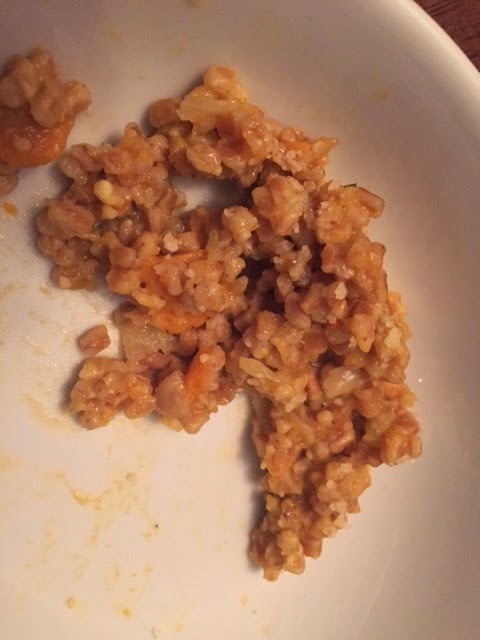 I never got beyond the risotto, just no time for me. But well done! Jora, you have so much going on with work and Charlotte that I am in awe of what you create for your table. I made a few of the same things you did, but I never choose as many recipes as you do. 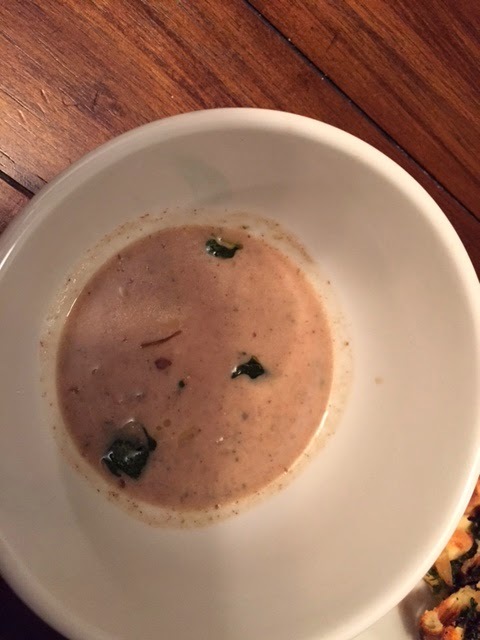 Given that Charlotte really liked the sage and chestnut soup, I think she is well on her way to being an adventurous eater. Nice job! Holy cow! You always amaze me. The curried sweet potato soup was my favorite this month. I did not find the salsify and did not want to substitute, for I had never had, let alone hear of salsify - nor burdock root for that matter! I made the beets after my post, and I personally did not care for them - and I love beets! Well done once again, Jora! 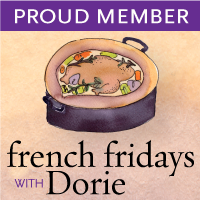 I'm going to join the amazed club - so many recipes, especially when you were away for a time! 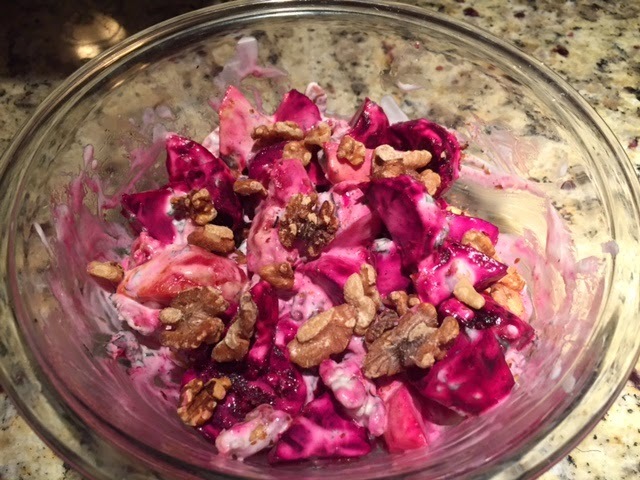 The raw salad is one I didn't make, but it looks perfect for this time of year. And I might be able to convince Kevin to try it, too.